Sandra Clark, 78, of Paducah, Kentucky passed away at 2:20 p.m. Monday, January 28, 2019 at her residence. She was born in Louisville, Kentucky. 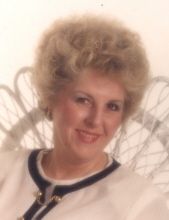 Sandra was retired owner and operator of Finishing Touch Cleaning Service and also had worked for Prudential Life Insurance Company as well as a secretary in different offices in Paducah. She was a member of Lone Oak First Baptist Church and the Baptist Health Auxiliary. Sandra is survived by her two daughters, Kim Burke of Paducah, Kentucky and Kathy Littlemyer of Gilbertsville, Kentucky; brother, Randall Dawson and wife Naomi of Paducah, Kentucky; three grandchildren, Chris Dossett and wife, Tegan of Paducah, Kentucky, Laura Gohn and husband, Justin of Jackson, Missouri and Leanna Wallace of Paducah, Kentucky; two great grandchildren, Alexis Wallace and Ali Wallace and her dear four legged friend, Maxwell Clark. She was preceded in death by her husband of 38 years, Harold “Teto” Clark and her mother, Lola Dawson. Funeral services will be held at 1:00 p.m. Friday, February 1, 2019 at Milner & Orr Funeral Home of Paducah with Rev. Jeff Wallace officiating. Burial will follow at Woodlawn Memorial Gardens. Visitation will be held from 5:00 p.m. until 8:00 p.m. Thursday, January 31, 2019 at Milner & Orr Funeral Home of Paducah. Expressions of sympathy may take the form of contributions to, St. Jude Children’s Research Hospital, 501, St. Jude Place, Memphis, TN 38105.